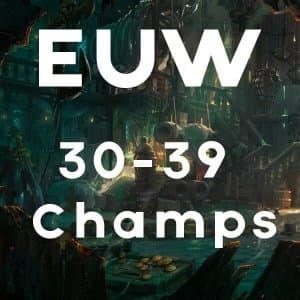 This handleveled League of Legends smurf is level 30 with 20-29 champions. The account is unranked this season and has no previous reports. After the purchase you will be able to change the e-mail address and the password of your account. We provide thorough instructions for this on our blog and in your payment reciept. Thanks to our automatic delivery system, you will receive the account instantly 24/7. In case the email does not show up, make sure to also check the spam folder. 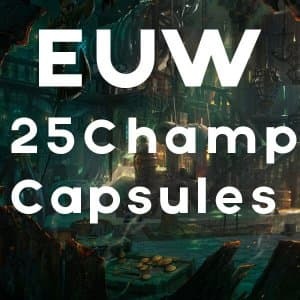 After the purchase you can instantly access your account and buy/upgrade your preferred champions using the champion capsules. For any questions send me a message on Discord, use the LiveChat or send me an E-Mail. And don’t forget to join our exclusive Discord server for coupons, giveaways, etc. https://discord.gg/V4qWDpA. © 2019 LoLShop24. All Rights Reserved.